The Star Wars galaxy has been in turmoil for quite some time now. Ever since the fan backlash over Rian Johnson's The Last Jedi, there has been a spell of doubt cast over the entire franchise. Fans of the series have done literal social media battle with each other over their opinions on the divisive Johnson led chapter of the Skywalker saga. 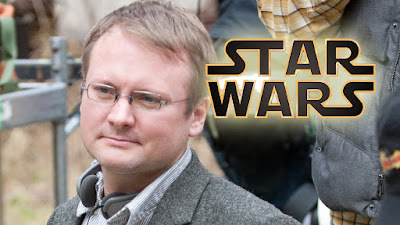 With that said, there has been much doubt over his reported new trilogy of films and it seems that the drama has finally boiled over into the director bowing out from any more projects in our favorite universe. Numerous sources including Screen Rant are reporting tonight that Johnson's trilogy is not only not happening but that he has stepped away or quit in order to concentrate on other, potentially different movies and projects. Johnson became the focus for quite the long winded drama and was ravaged over Twitter, Facebook and any other social platforms that he could be reached on. Now, it looks like the negativity got the best of him as several sites have jumped on the news that he's officially out by his own choice. Updated: According to the response we've seen on this post via social media, this is not confirmed and has even been commented on by a Lucasfilm official. We'll update as any other word comes in. Johnson himself has Tweeted regarding this news. We promised we'd update and here it is. No it isn’t true, I’m still working on the trilogy. With all due respect to the movie bros, who I’m sure are lovely kind bros with good fraternal intentions.